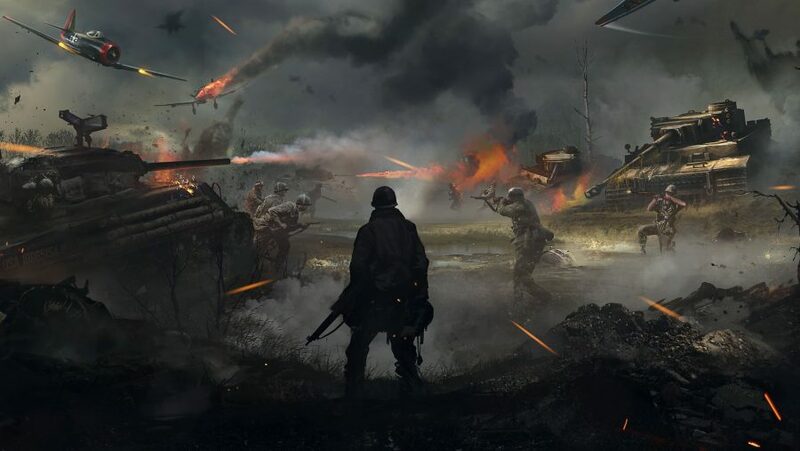 Black Matter CEO Maximilian Rea’s last project as a visual effects producer was Hacksaw Ridge – the harrowing real-life story of a US medic and conscientious objector who made a heroic contribution to battles in the Pacific Theatre, all while refusing to wield a rifle. 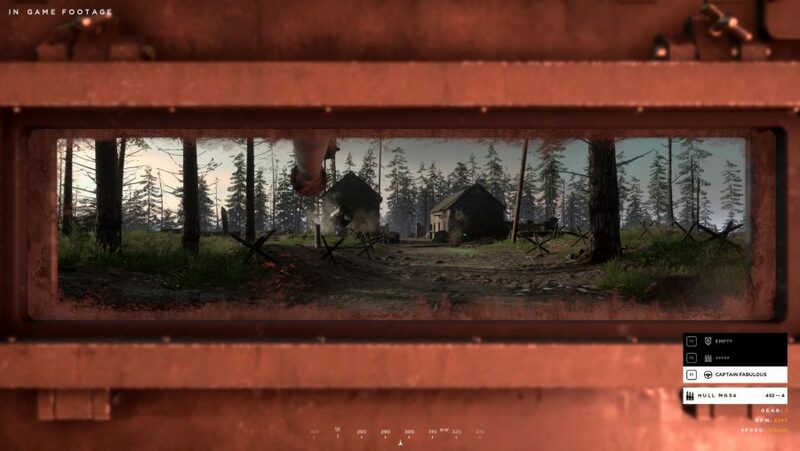 His first project as a game developer is Hell Let Loose, a platoon-based WWII multiplayer shooter played on such scale that he hopes players will have space to entirely embody their roles, perhaps playing whole matches as helpers rather than hurters. The easy, obvious narrative is to say that one project led directly to the other, but that’s not true – Rea was unhappy in his work and, feeling creatively unfulfilled, decided to make more of a hobby. Hell Let Loose wasn’t the natural next step from the world of visual effects, then, but an escape from it. When Unreal Engine 4 became free, Rea started to tinker with its toolset and soon posted screenshots on the engine’s forums – appealing for artists and programmers in the same way bands used to find bassists and drummers in the classifieds. Before long, Rea had found two partners in the project who would eventually become studio co-founders. Over the past generation of big-budget games, publishers like Ubisoft and Rockstar perfected a process of cross-continental development – one in which a team starts work just as another goes to bed. The same process has powered Hell Let Loose – the natural consequence of a remote working team brought together by shared belief in the project, rather than geography. Even now, with a larger team, the sun never really sets on the making of Hell Let Loose. Its mixture of contractors, freelancers, and full-time staff covers over a dozen different countries. Uniquely in a market dominated by American shooters, that’s given the team many different perspectives on a war that touched nearly every part of the globe. “It was quite stark actually,” Rea says. “One of my grandfathers was a Spitfire pilot, and the other one was in North Africa with the British Army. My colleague Rick’s grandfather was a radio man on a flagship in the channel on D-Day. Roman doesn’t really know what happened to his grandfather, but he knows know that he fought on the Eastern Front. 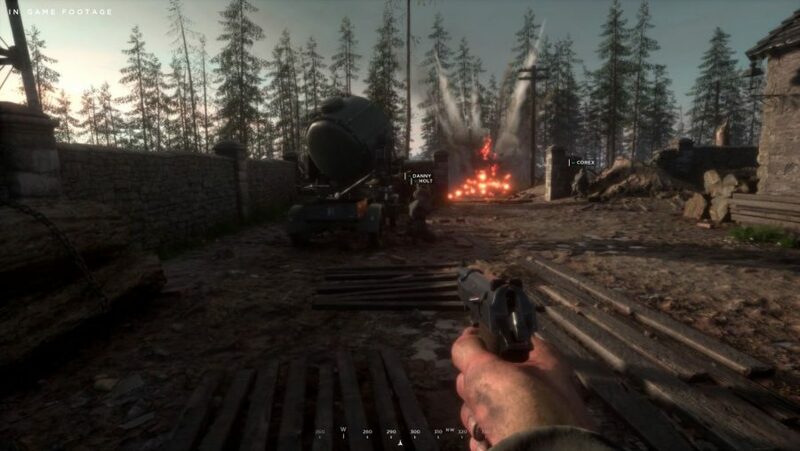 Playing as part of a platoon, rather than a commando or soldier in a loose squad, has major practical implications for the making of Hell Let Loose. The team is committed to allowing 50v50 matches, and there are difficulties inherent in that kind of scale. At one time in the development of Hell Let Loose, the idea was a technically daunting one too – although the team has had help from a familiar source. Despite the multiplayer focus of Hell Let Loose, the team has made good use of Unreal Engine 4’s AI code too – throwing huge numbers of simulated players against each other to test and optimise their netcode. By this point, 100 players no longer feels like a big deal. Hell Let Loose is coming to Steam. Unreal Engine 4 development is now free. In this sponsored series, we’re looking at how game developers are taking advantage of Unreal Engine 4 to create a new generation of PC games. With thanks to Black Matter and Team 17.